One of the best migration and Permanent Residency programs in the world is offered by Canada Immigration and it is the Federal Skilled Worker (FSW) Program. This program is a points-based immigration to Canada where an applicant needs to obtain at least, 67 points to qualify for Canadian Immigration through the FSW Program of Canada. 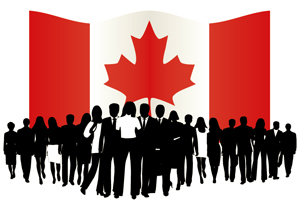 Here’s a list of points that each applicant needs to be aware of to be eligible for the Federal Skilled Worker Program of Canada. Upon meeting any one of the following 3 criteria, an application for the Canadian FSW program will be processed. 1. In the last ten years, is an applicant has a minimum of one year of continuous full-time or equivalent paid work experience in any one of the occupational categories listed in the Ministerial Instructions, then (s)he is eligible for the Federal Skilled Worker Program. If the applicant has received such an award, the conditions/terms of the award are satisfied. So, these are the ways in which a person is eligible for the Federal Skilled Worker Program of Canada. Opt for a Free Evaluation from our experienced Canadian Immigration Consultants today and see if you qualify for the FSW Program.